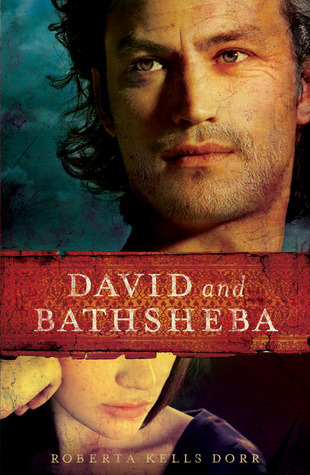 David and Bathsheba is a spellbinding story of a gifted king and the woman he loved but could not have. Told from Bathsheba's perspective, author Roberta Kells Dorr bring to life the passion that almost cost David his kingdom and tested a people's courage and faith in God. I am not usually a fan of Biblical fiction. But having recently enjoyed the book Claudia I thought I would give it another shot with David and Bathsheba. Roberta Kells Dorr is a new author to me so I had no idea what to expect. I like how the book is set up with the story line. The book stars with David's death then goes back in time to before Bathsheba and Uriah were married. I enjoyed the historical aspects and understand their importance but it was too much for this book. I felt like I was reading a very long drawn out history book. I didn't feel the emotion of the characters, or like I was really in the story. I did learn new things about that time and thought about what it would be like from Bathsheba's point of view. For Biblical fiction I can't recommend this book. As I have said before I'm sure many people will enjoy it, it just is not the book for me. "I received this book from River North Moody Publishers for free in exchange for an honest review."